For months, many of us here at Lazygamer have been using Telkom’s SmartBroadband Uncapped LTE. For months, its been amazing. We’ve all enjoyed speeds in excess of 30Mb/s (sometimes up to 90Mb/s) with upload speeds of 8Mb/s, allowing us to do things like stream our gameplay. “Uncapped wireless broadband is really uncapped for almost all applications and uses. These include email, browsing, streaming traffic like video, music, YouTube, AppleTV, Box Office, Netflix, VPN, VOIP, real time online gaming, backups and gaming downloads. And that’s awesome. We don’t pirate things, so we have no need for Bit Torrent or News Servers. Because of what we do though, we do download many games which as you know are often in excess of 50GB a go. Because we also work from home and largely use streaming as our media method, this uncapped package is perfect. Or at least it was. This month, Telkom changed its Acceptable Usage Policy for the packages – in effect neutering them. What’s not perfectly acceptable? They’ve imposed pretty strict, blanket throttling. And people are really, really angry – as they have every right to be. If an uncapped LTE user hits 200GB within a month, they’re throttled down to 4Mb/s from the 90Mb/s maximum. Hitting 250GB within that period drops the connection speed down to an unusable 256KB/s for the rest of that month. Those limits were considered hearsay for a while, but we received confirmation of them from Telkom. While Telkom may have informed customers of changes to the AUP, they didn’t specify a blanket threshold. Worse is that the products were sold on the promise of never capping or throttling regular use. Instead, only bandwidth-intensive protocols such as Bit Torrent or NNTP were meant to be subject to a fair use policy of 50GB a month. The SmartBroadband Uncapped Wireless service will offer uncapped data for all traffic types except bandwidth intensive protocols or applications which shall be capped at 50GB. While some lighter users suggest that even hitting 200GB in a month borders on abuse, I beg to differ. Downloading just two games (which, in this industry is optimistic) means you’ve already used 100GB of the 200GB allotment. Just an hour of streaming in HD from Netflix can use up to 3GB. Conservatively, with my 5 person household streaming Netflix, using YouTube and streaming music for an hour a day we’d use up the other hundred gigabytes within a few days. So yes, Telkom’s within its rights to change the terms and conditions, but the way in which they’ve done so has fundamentally changed the product. It is no longer the uncapped, unthrottled service we were sold – not by any stretch of the imagination. No matter which way you slice this, the product available now is very different to the one sold, and consumers are being taken advantage of. Is there any real recourse? 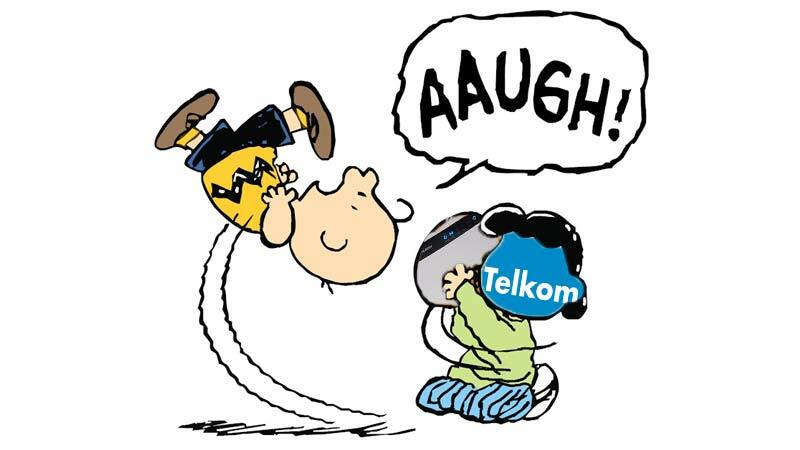 You could probably use the CPA to get out of the contract penalty-free, and it’s worth complaining to ICASA and the ASA about it – but Telkom’s likely legally covered.